It’s officially spring (and finally beginning to feel like it too!) so you know what that means. 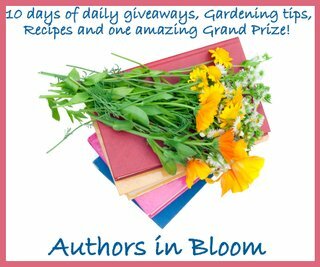 Time for another Authors in Bloom blog tour. The rules are simple. Visit as many of the participating blogs as you can over the next 10 days and leave a comment. 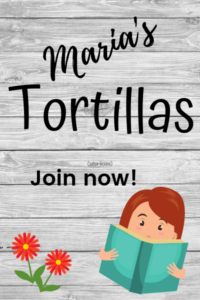 One commenter will be randomly selected to win the grand prize: A Kindle Fire or Nook (winner’s choice) along with a $25 gift certificate to either Amazon or B&N. In addition, most of the participating authors are giving away their own prizes, so make sure you visit all the blogs! The contest ends on April 19th at midnight and winners will be announced on the 21st. Last year, I posted my recipe for Asian Salad but this year I decided to go with something a little sweeter. 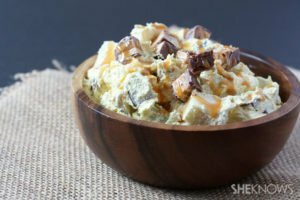 This is a recipe I found on the SheKnows.com website (a great site, by the way) and manages to include two of my most favorite foods in the world: Snickers bars and apples. Sounds strange, I know, but believe me, it’s out of this world. Set aside chopped apples and Snickers on a cutting board. In a large bowl add vanilla pudding and half-and-half. Whisk until smooth. Gently stir in Cool Whip. Once combined, fold in apples and Snickers. Let mixture cool for at least an hour before serving. When you are ready to serve, drizzle with caramel topping sauce. So, don’t forget to leave a comment (along with your email address) and to visit the rest of the blogs on tour. You can find all the links right here. One commenter on my blog will win an autographed copy of my latest novel A GIRL LIKE YOU, along with a secret bag of goodies (I promise, it will be good!). US entries, only. I have not read a book since high school which has been 27 years I picked up your book bunco babes tell all , I read it in 2 days then I read bunco babes gone wild another 2days. I just finished the boy friends club. I am really enjoying your books wish you had more..I am so proud of myself that I am finally reading. If it wasn’t for your books I still wouldn’t be reading books. Thanks so much for writing books that us moms can enjoy . I make this salad ALL the time, and it is ALWAYS a hit! The only difference is that I use a cup of milk, and always vanilla pudding. I might have to try butterscotch some time. OMG… I love that Apple salad but didn’t have recipe… Now i do wooo hoo… Thank you for being part of the hop and for the giveaway( I live in the great state of North Carolina). Thank you for the decadent recipe. Spring is bloom and I love the flowers that come along with it. The warm weather, the happy people, the blossoming of roses and sunflowers. Sunflowers have to be my favorite flowers. They are so happy reaching towards the sky. Their petals are like eyelids opening wide to look upon the great blue sky above. My mother makes the best cheesy cauliflower soup that i adore in the springtime. It’s thick and creamy and I could easily eat gallons of it!